Good technology conferences allow attendees to meet movers and shakers in the industry, specifically people who are relevant to the technical interests of the attendees. I think that the Exchange Connections conference has a good record in this respect and so it was that Kevin Allison, General Manager of Exchange (on-premises and cloud) turned up to provide a keynote at today’s event. Kevin used a different type of Microsoft presentation to that we have seen from other executives in the past. Large amounts of text were replaced by blocks of color on a photo background similar in appearance to the Metro UI as seen in Windows 8. It was a refreshing change to the normal “death by PowerPoint” that happens so often in sessions delivered at conferences. Kevin’s last slide featured an interesting photograph of a two-fingered salute which might be deemed offensive in some places! I’m sure that this was totally unintended. Getting back to the substance of Kevin’s presentation, he began by noting that there has been a very fast uptake of Exchange 2010, faster than any other. In other words, customers are migrating to Exchange 2010 faster than they moved to either Exchange 2007 or Exchange 2003 when they were released. He then reported that 20% of Fortune 500 have bought Office 365 seats. My take on this is that companies are investing in some Office 365 seats to be able to assess exactly how they might be able to use cloud services. It’s kind of “kicking the tires” to figure out whether they want to run Office 365 completely, use a hybrid environment, or continue with on-premises Exchange. It will be interesting to see how many of these companies end up deploying Office 365, but I suspect that we won’t discover this for a few years yet. Exchange is a product that has a very large community. Kevin acknowledged that the community is quick to express its opinion on what’s happening with Exchange and said that the engineering team pays attention. He cited the addition of support for Windows 2008 R2 in Exchange 2010 and the increasingly broad support for mobile devices and different browsers as areas where customers have driven change. 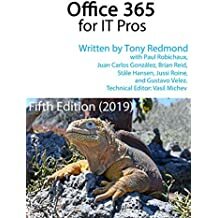 Also mentioned was the reintroduction of UDP support in Exchange 2010 for smoother connections for Outlook 2003 clients. Everyone knows that Exchange’s reputation for quality has suffered in the past year as they have had to recall two roll-up updates (RU3 and RU4) due to bugs that were found in the code after it was released to customers. Kevin apologized for these lapses and admitted that they were a big hit to his team’s credibility. Mistakes do happen but the fact that two problems followed each other in quick succession really marred the record of the sustained engineering team. He said that Microsoft’s scenario testing didn’t catch the problems and allowed them to slip through. This has resulted in a revision of the overall testing process to assess end to end processing rather than just focusing on individual features. In terms of new functionality for Exchange, Kevin noted that their development cycle has changed from the traditional two-year plan/coding/test approach to six-month drops. To a large degree, the change in approach has been forced by the cloud and Microsoft’s need to adapt to market demand. Functionality is now provided in small chunks rather than in major pieces, which seems awfully like the way that Google rolls out improvements for Google Apps and Gmail, which means that Office 365 users see small but incremental changes in functionality over time. See this blog for more detail about Office 365’s release cadence. Some have expressed the worry that Microsoft has too much focus on the cloud and has forgotten their on-premises installed base. Kevin said that Microsoft runs three Exchange environments for its own use – on-premises, cloud, and test so they are aware of the need to serve all environments. There will be new features and updates in Exchange 15, the next major release of Exchange that is being worked on today. Right now, the Exchange team is working to push out Exchange 2010 SP2. Kevin said that “SP2 is about you”, which I didn’t quite understand, possibly because I didn’t listen well enough at that point. He cited GAL segmentation (Address Book Policies) and the Hybrid Configuration Wizard (HCW), which reduces the number of steps required to configure on-premises to cloud communications from 50 to six as major areas of improvements in SP2. When challenged about the date when SP2 will be available, Kevin said that Microsoft always expected it to be in Q4 2011. He had hoped that this would be in October but the current plan is that SP2 will ship in the next four weeks. It’s critical that Microsoft gets SP2 right and they are paying huge attention to quality. He noted that bug rates are going down drastically and it looks very good. The two main reasons for holding SP2 from shipping now are first to make sure that UDP support works smoothly and then to tweak the HCW to ensure that secure messaging is correctly set up for on-premises to cloud connections. In addition, great attention is being paid to testing. When asked about the different release schedules for Office 365 releases and on-premises Exchange, he said that on-premises updates follow the well-established cadence of RU-SP-release but that updates for Office 365 are sped up so that every two weeks to six weeks cycle they patch code with minor fixes. New features then appear every six months. To apply updates, Microsoft takes servers out of the pool, re-image the computers with new software, and reintroduce into the server pool. They also use a swing site approach to apply yearly updates to move from one major build to another when servers running the software are introduced and the Mailbox Replication Service (MRS) is used to move mailboxes to get users to new build. This approach ensures data integrity because MRS cleans up any problems. Up to 10,000 users moved hourly. Lots of requests come in for new features or functionality changes. Microsoft triages the list every two years to figure out what new features should be included. Your favorite feature (his is a List Server) might not be included if it’s way down the list. Available development time also gets in the way of being able to do as much as they’d like and Kevin acknowledged that the overall admin system was unfinished in Exchange 2010 and had to be completed in SP1. Features are often cut because there are no resources to do the work. Kevin was then asked about security policies. He noted that US Government is Microsoft’s largest customer so security is terrifically important. ActiveSync has been a frustrating area because not all vendors implement full functionality. Microsoft now tests top 10 devices in the market including Apple, RIM, etc. but there are lots of other combinations of handset and O/S that support ActiveSync that are not tested. Apple has a good record of rolling out fixes and 98% of their devices are up to date. Android is very different and the vast majority of these devices have never received an O/S update so ActiveSync bugs are not fixed. Vendors get feedback and test reports but the issue then comes down to the desire of the vendors to fix their code and roll out the fix. Acknowledged that server fixes are also made and this helps all devices but it won’t fix everything, especially on old versions of Exchange. What about Microsoft delivering Apps for iPhone or other devices? Kevin said that Lync and OneNote have apps planned but most of the focus for this group is now on the Windows 8 UI so that applications work well across a variety of devices. Kevin pointed to Exchange 2010’s support for the premium version of OWA on Chrome, Firefox, IE, and Safari as a change in Microsoft’s implementation so that the same experience is gained across all devices. Kevin was asked about Exchange 2010 archiving by a customer who noted some deficiencies in the search capabilities, especially extending to SharePoint. Response is that discovery and search in Exchange 2010 is a first implementation that meets the needs of many customers but might not fit the needs of all. Microsoft plans to invest further in this area. Kevin was asked about multiple forest support without using federation services. He acknowledged this as an area that needs to be improved. The issue is all around the complexity of dealing with all of the other components that might exist in such an environment including third party directories. They have this on their roadmap and are looking at it. This entry was posted in Cloud, Email, Exchange, Exchange 2010, Office 365 and tagged DevConnections, Exchange 2010, Exchange 2010 SP2, Office 365. Bookmark the permalink. Hybrid Configuration Wizard (HCW), I wonder which company in Europe, especially Germany, needs that, on-premises to cloud communications? Public Clouds in Germany are hype, nothing more, especially if the provider is not a german company. The only thing of interesst for german business is private cloud, inhouse hosting, for example Exchange, and that ist not new. And the question for public folders? We all know why they are still in place. As long as there is a such a large amount of Outlook 2003 installations, which need for some functionality System Public Folders, any Exchange Version will have Public Folders.